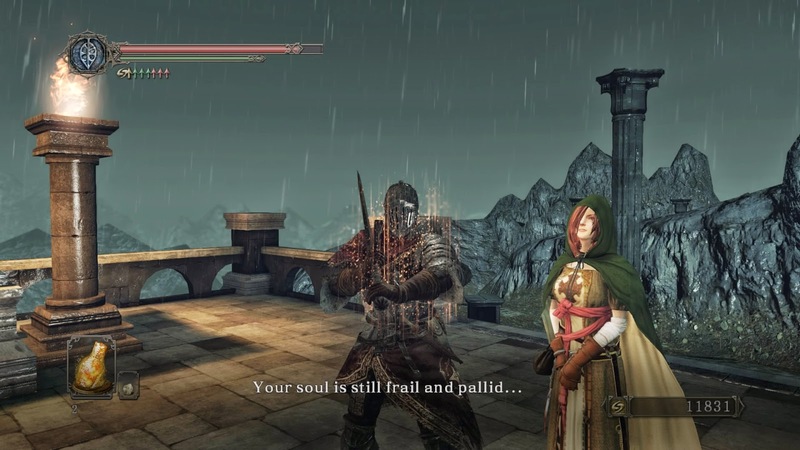 In the world of Dark Souls 2, this is how people flirt. Speaking of flirting, the next boss is straight out of God of War: A dastardly Medusa. She carries her own severed head around and uses it to channel petrification rays your way. She can also wrap you up boa-style and constrict you to death, a surefire way to get players to break their controllers. 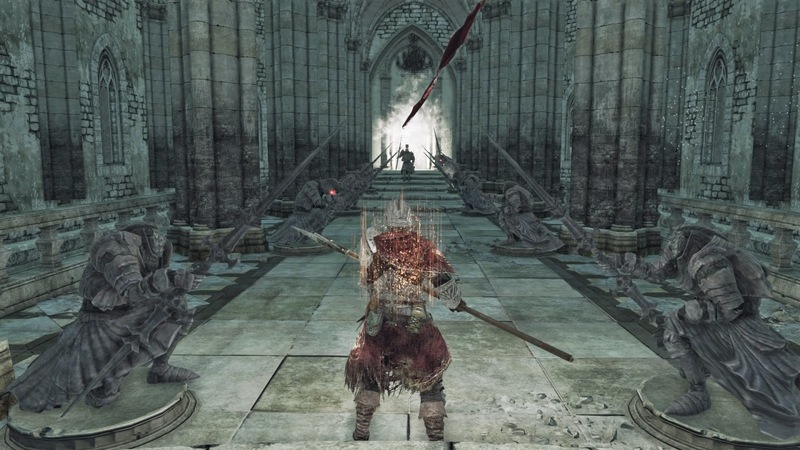 Now I'm dual-wielding greatswords that look extremely similar to Cloud's Buster Sword. They're slow, but they pack a huge wallop. 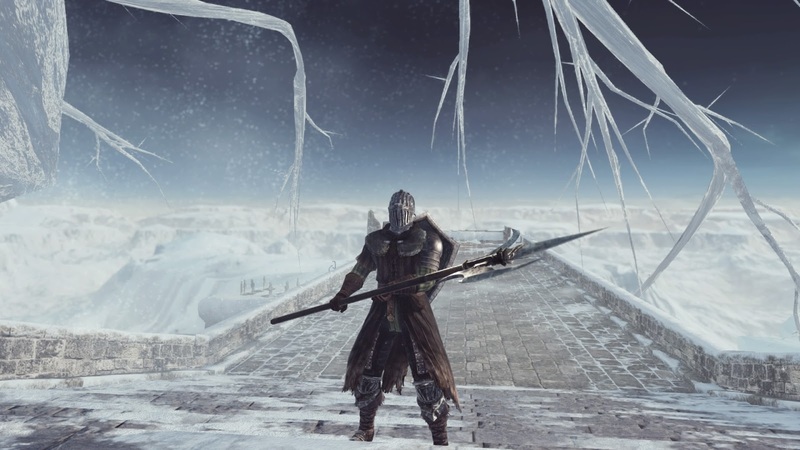 I'm happy with the Blue Knight Halberd though. 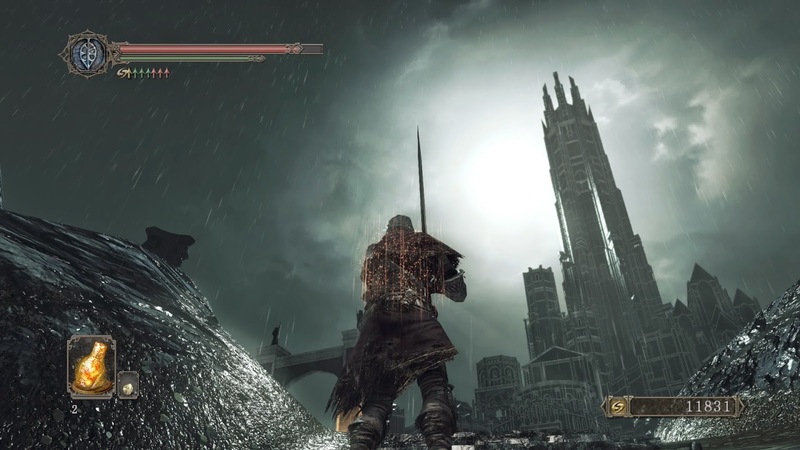 I step into the DLC briefly. 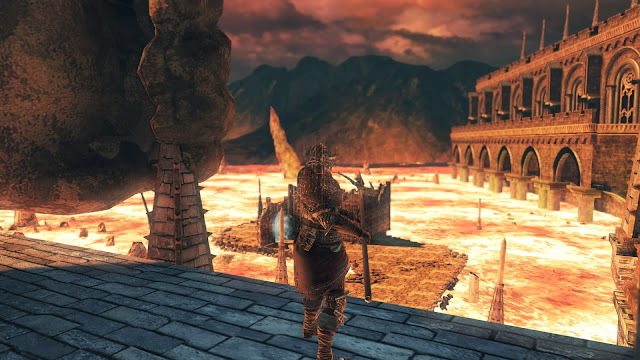 Looks like they made a huge effort with the design of these DLC areas, if the entry zone is any indication. 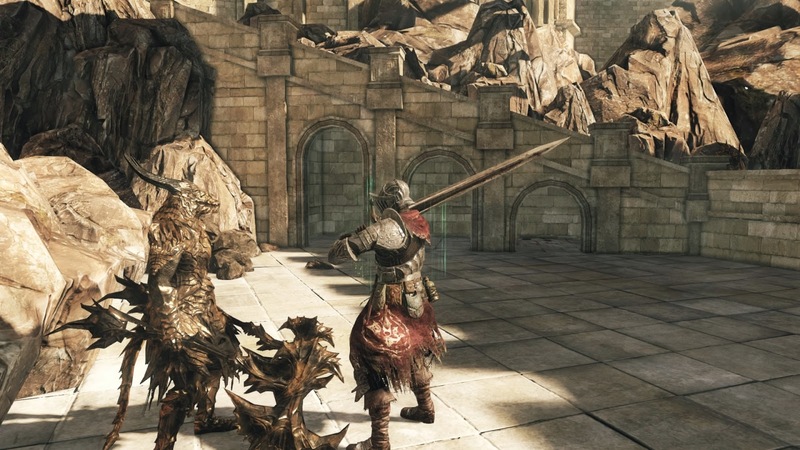 The DLCs combined are about 50% of the length of the main game (at least) and function as postgame. The first time I played this, I barely got through the main story and wasn't in the mood for any hyper-challenges, but later I went back and did the DLCs once before heading to NG+. If you're going to do the DLCs, definitely do them on NG rather than on a higher difficulty bracket. They're already hard enough. 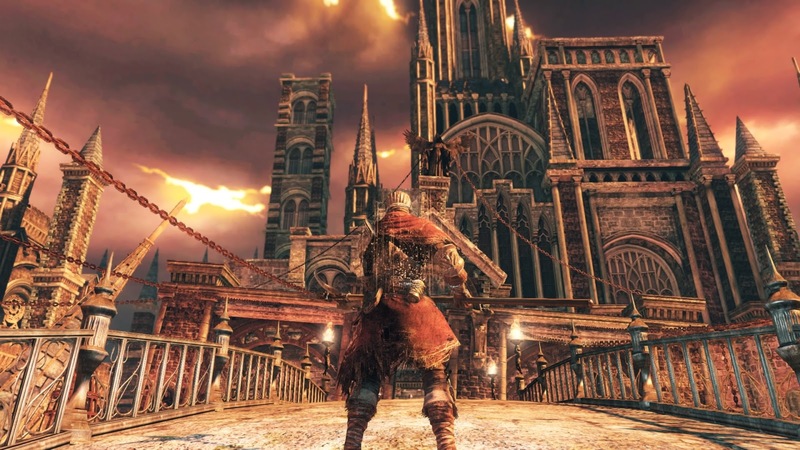 The Iron Keep is an amazing-looking palace of fire. However, it's one of the most difficult areas in the game. 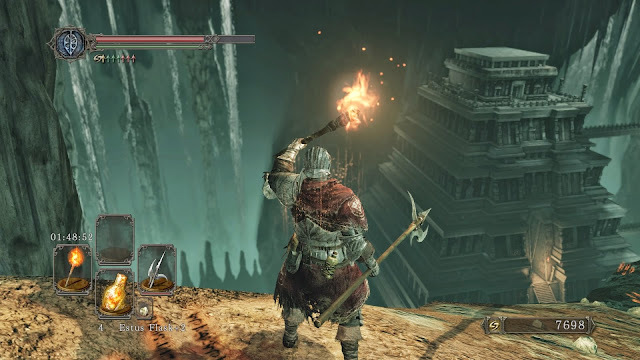 This place is an astonishing jump in challenge from the areas before it, and unless you take out a fairly tough optional miniboss, there's no checkpoint in-between the beginning of the area and the last section. Getting from one of those checkpoints to the other is extremely difficult, so the midway checkpoint helps a lot...but the miniboss is extremely difficult too. Lots of games have mimics, but this one has HORRIFYING MIMICS. I haven't mentioned the durability bug at all. 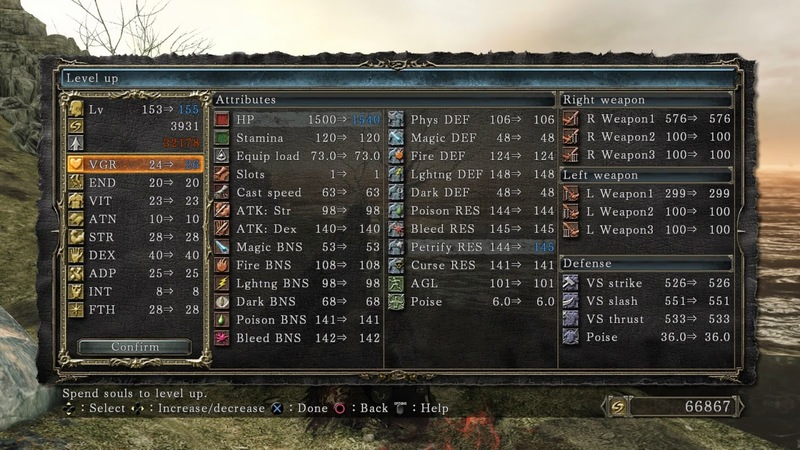 The PS4 version of this game has a bug where your weapons lose durability (and need to be repaired) twice as quickly as they're supposed to, due to the framerate being twice as high as it is on other systems. Weird. Not sure how this bug could be allowed to exist at all, let alone never be fixed. It's annoying to have to go repair so often. For some reason, this room really reminds me of the Great Cathedral at the end of Vagrant Story. It was around this point that I realized something: Playing the Vagrant Story soundtrack in the background makes this game waaaaay more fun. It nearly entirely lacks music as things are, which makes for a pretty dull experience. Vagrant Story has the perfect music for this sort of eerie, dungeon-filled world. 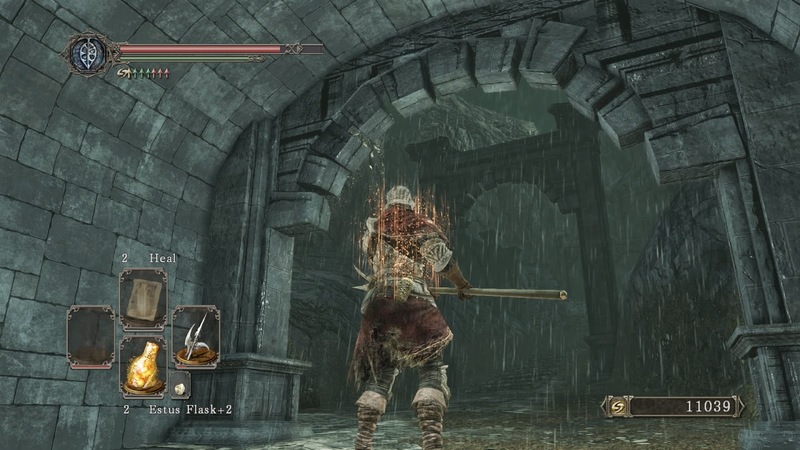 The Iron Keep was probably the most memorable area in the game for me. I struggled through it but it was very interesting regardless. It's also gorgeous and unique in design. Er, the Old Iron King. This thing is a beast, to say the least. 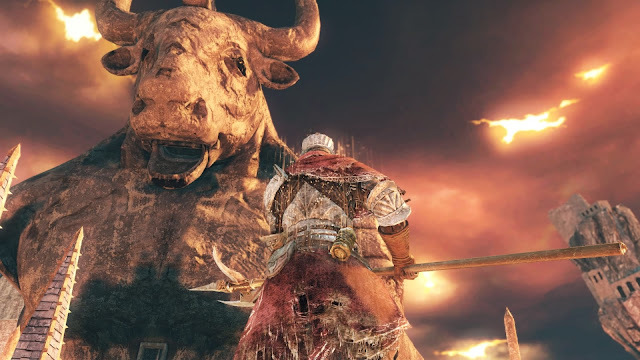 After winning I turn around and notice a giant minotaur statue looking on creepily. That actually caught me off guard. As much trouble as this game gave me, as long as I could steadily progress on one front or another, I had a good time. The optional mid-boss in the Iron Keep is the Smelter Demon. Had to bring in a bunch of player backup for this one, because going it alone wasn't working out too well. Have I mentioned how great the multiplayer component is? 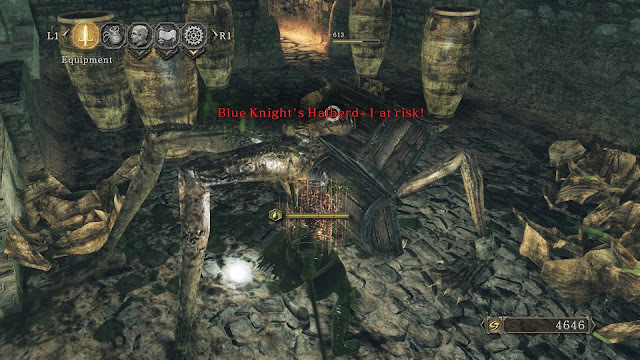 Bosses are stronger when fought in multiplayer, but having the boss' onslaught divided between multiple targets absolutely pays off. The world host (you) needs to be careful not to die, though, as their death still means the fight is over. As a result I tended to play it a little safer than I wanted to in multiplayer fights, keeping a distance more often than not. Approaching Drangleic Castle, things get stormy very quickly. Since the game is so realistic in some ways, I'd worry about my armor rusting in this rain...if it didn't already look totally rusty and horrible. 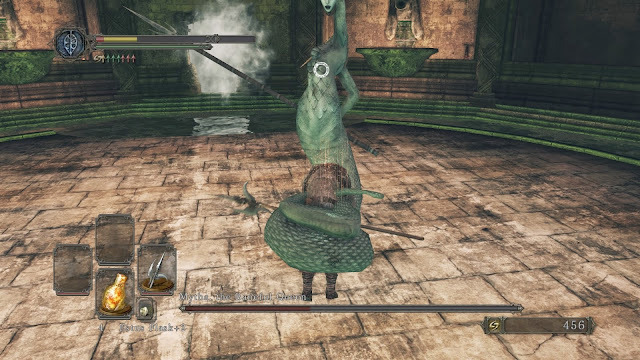 Drangleic Castle itself is something else. They did an amazing job with the skies in this game. Continuing on, I ended up in a misty forest with a sense of foreboding. 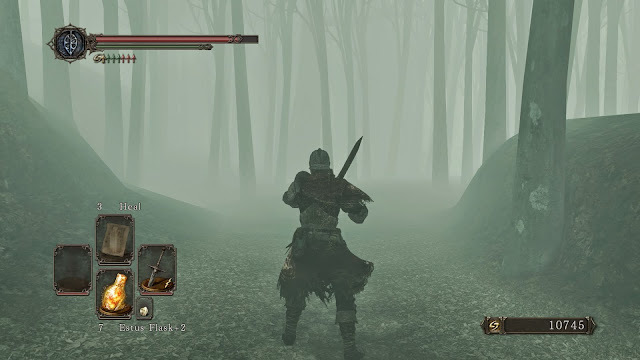 Aside from looking real, this forest is tense and creepy. 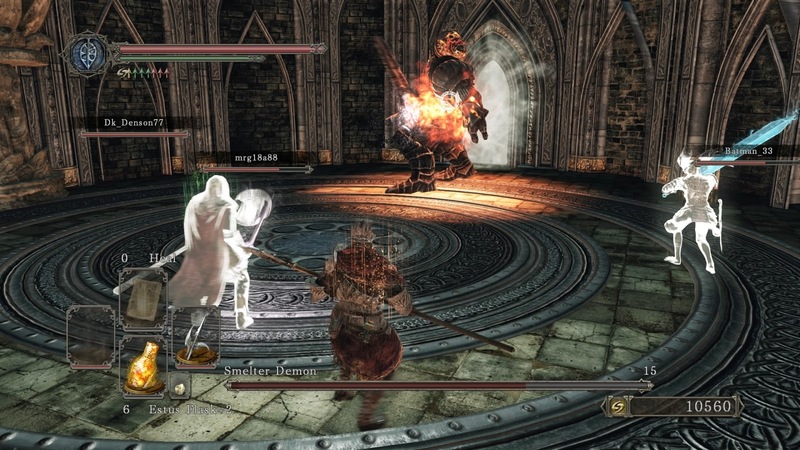 Time for a lategame procession of bosses. This scorpion-lady has not one but two separate tails. What does she need the extra tail for, huh? Going further into the realm of creepiness, we fight the Royal Rat Authority. 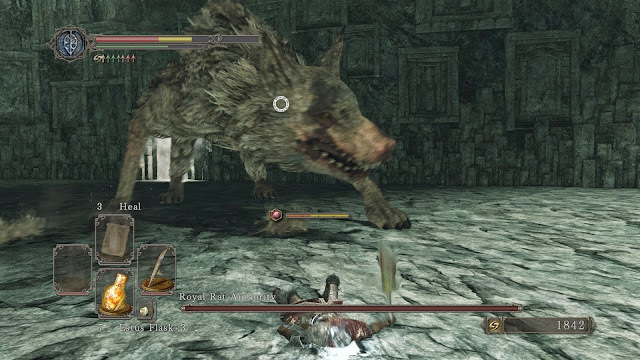 This thing is massive, and while it isn't that difficult by itself, you also have to deal with little rats scurrying about and inflicting Plague on you (which depletes your HP way too fast if it lands). If you don't defeat all of the small rats before the big one joins the fight, you might as well reset and start over. Not a well-designed boss. 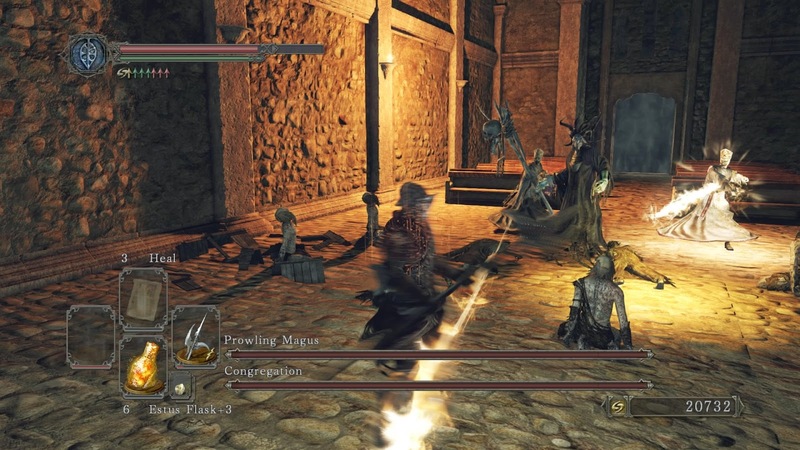 The single easiest "boss fight" in the game is probably this congregation of dark priests. They have very little health, and spin attacks make mincemeat out of them. 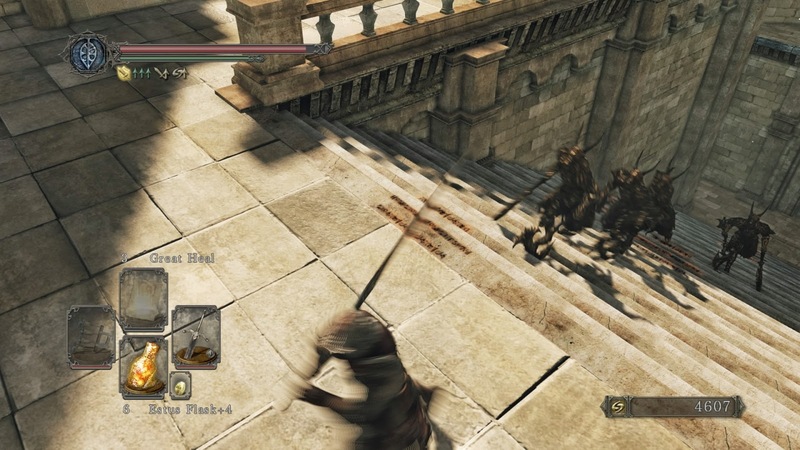 It's like a roomfull of regular enemies got a life bar for some reason. 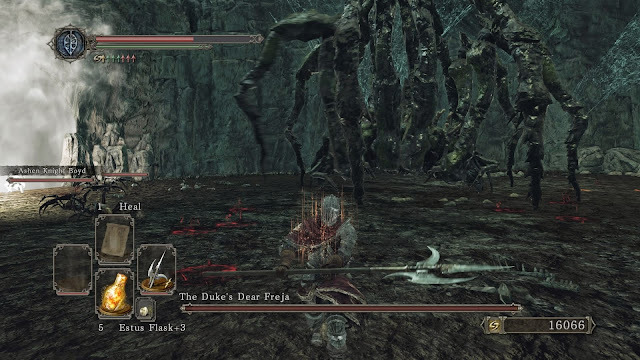 The Duke's Dear Freja is an oddly-named giant spider that would be right at home among Bloodborne's boss gallery. 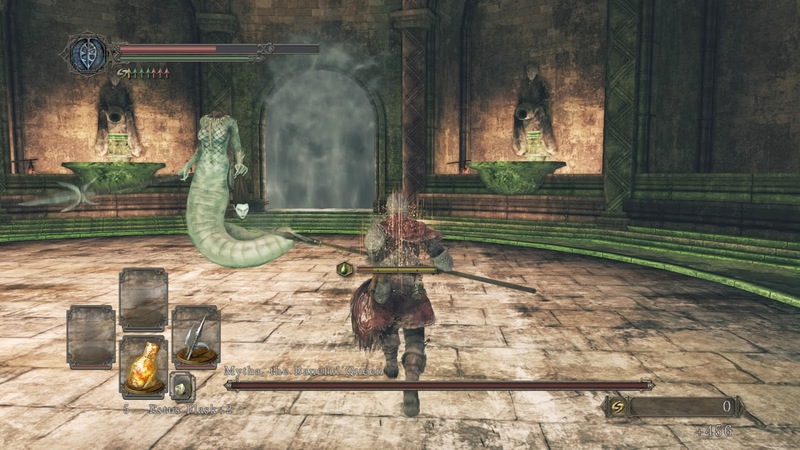 It's another of the easier bosses in this game (especially with NPC allies), but it sure is creepy. Not sure why I took this shot, but it's a shot, and it exists. For those wondering, at this point I've played through this, Bloodborne, Dark Souls, AND Demon's Souls. I owe Bloodborne another run since I "get" the series now, and there's also Dark Souls 3. Statues are ever-present and well-designed, as was the case in Bloodborne. Finally, we arrive at the single worst area in the game, Shrine of Amana. At first I was in awe of the cool light-effects at work here, but then I descended into the mire. The place is filled to the brim with casters who blast you at range with impunity. They can cast spells at you from waaaaaay further than the player can cast back (as far as I can tell, their range is infinite once they're aggro). 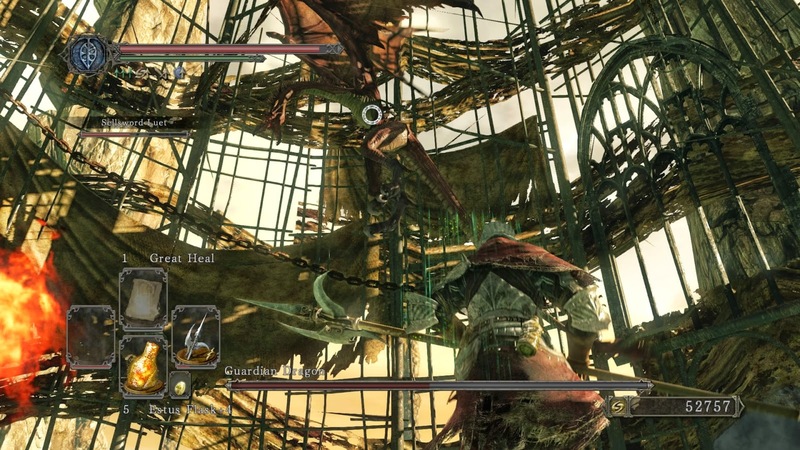 Pretty much the only way through is to snipe them with arrows from around corners, proceeding very slowly. I'm glad bows are finally getting some use for me, but this area just feels poorly-designed and cheap. Took many tries and frustrated me more than any other point in the game. It's a shame because it's so gorgeous. The Demon of Song is the next challenge that awaits. It's an extremely-creepy giant toad with a skull face, and I needed a ringer along to take it down. Mainly because I couldn't figure out how to damage the damn thing for a while. Turns out you just have to wait until it exposes its face, land a hit, and back off. It counter-attacks for mega damage, but it isn't a difficult fight. 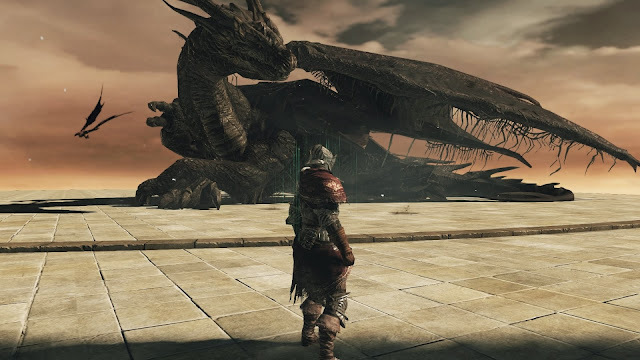 What follows is my favorite battle in the game besides the Balrog: A huge, fierce dragon. It looks like the immobile one from the bridge earlier, but this one is most definitely mobile. Weird thing is, the room where this battle transpires...kinda looks like a big birdcage. 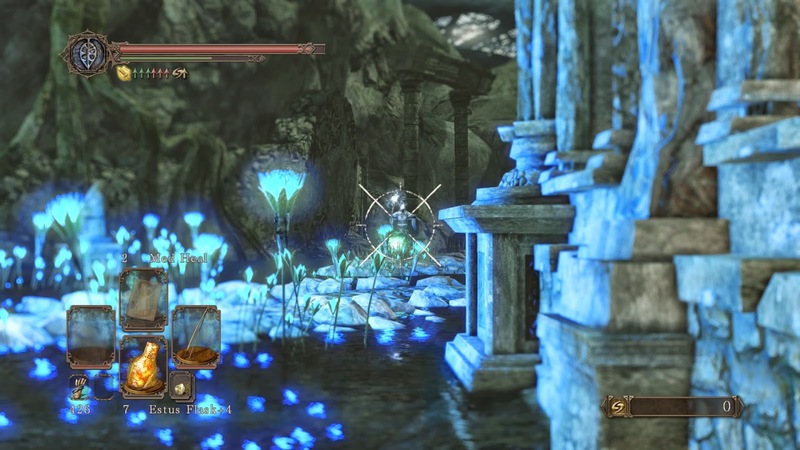 The final areas of the game are filled with dragons and wyverns. You see their shadows whiz past you on the ground every so often, and I was always waiting for one to swoop down and attack. Not sure if that's a thing, though, aside from a couple of big ones that land in larger areas to give you optional fights. 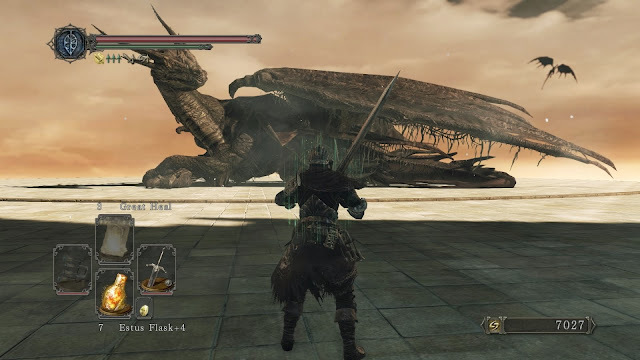 All things considered, what should have been the deadliest area in the game ended up becoming one of the quicker and easier ones due to the lack of dragon-ference. The Dragon Shrine lurks high atop the cliffs, and it's full of very menacing dragoons. They stand around and look at you, and I decided it'd be a good idea to leave them alone. Because they're content to not interfere with you (up to a point...sometimes they will) this area is another endgame area that flies by. A little later, they all decided to MURDER me for some reason. Not sure why. I must have done something differently. I had the hollow effect on, maybe that's it. Stay human, like Colbert's band, and they won't sass you. In any case, these guys are a huge PITA to try and fight, so I ended up fleeing through the shrine with an army of dragoons in pursuit. Luckily, they all abandon their pursuit (well, most of them...one or two bold ones may follow you in) when you get to the boss room. The big bad dragon here is the Kintaro to the earlier dragon's Goro. It's quite strong, and completely optional as far as a fight goes. I decided not to fight it, and got the item I needed by talking things out. The dragon is too cool to slay, and it's nice to have a choice. The endgame has you warping to the past to see the final day of the War Against The Giants. 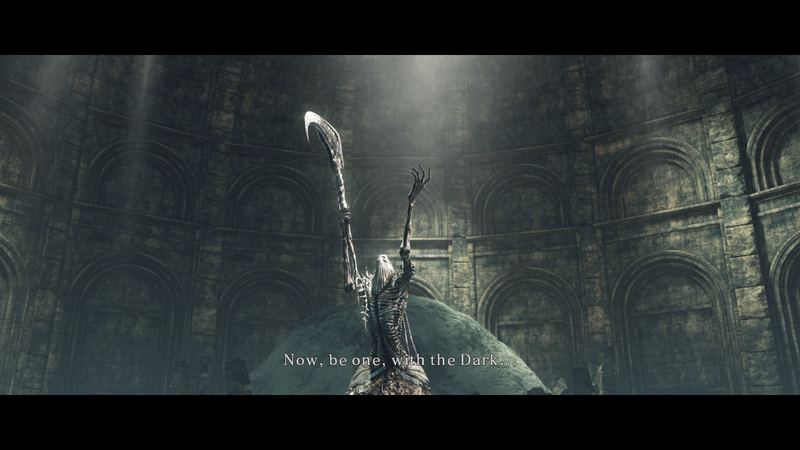 Suddenly, "The Last Giant" from the beginning of the game has meaning. 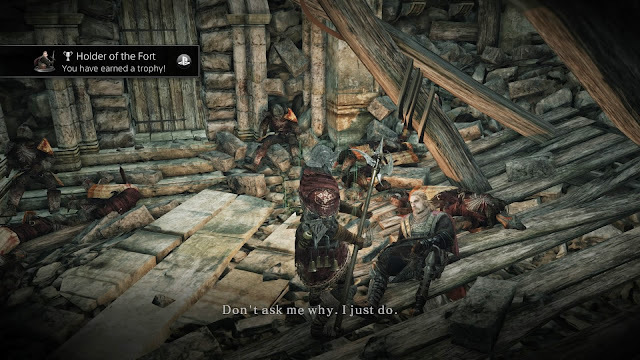 Hey, wait a minute...is that dying guy Geralt? My level for the final boss? 155. Yeah, no kidding. 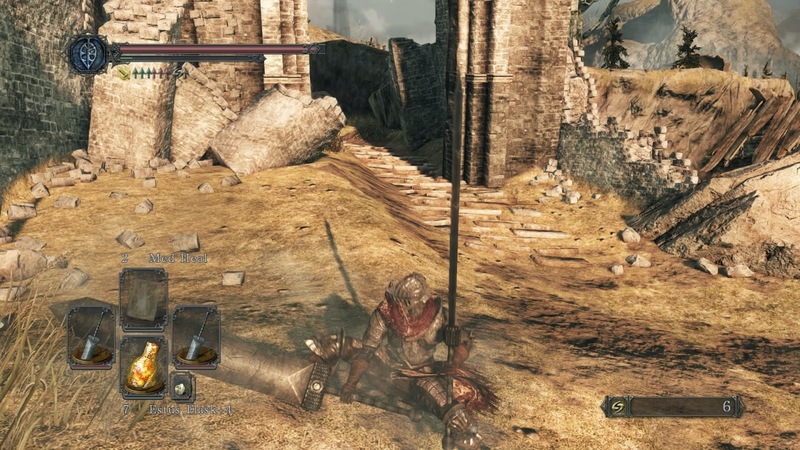 Managed to get my trusty Blue Knight Halberd to level 10/10, and I was all set to go. I ended up needing to get up to level 200 to beat the DLCs, to give you an idea of their difficulty compared to the main game. Quick shot of one of the DLCs. 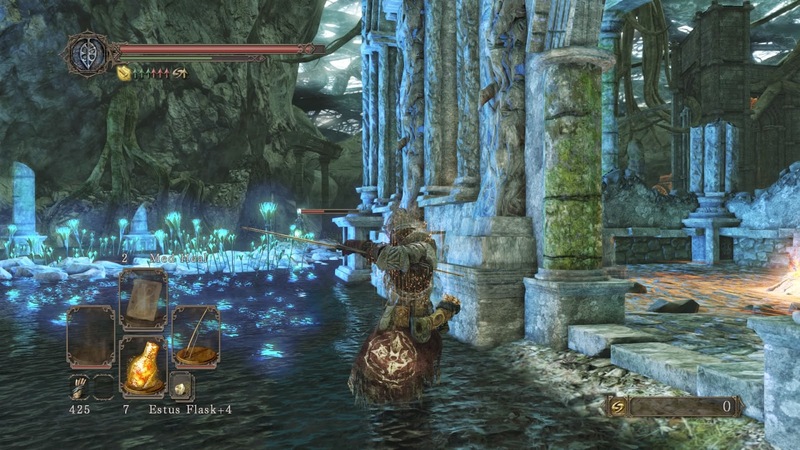 Frozen Eleum Loyce is probably my favorite area in this game. It looks so much different than the rest of the game. 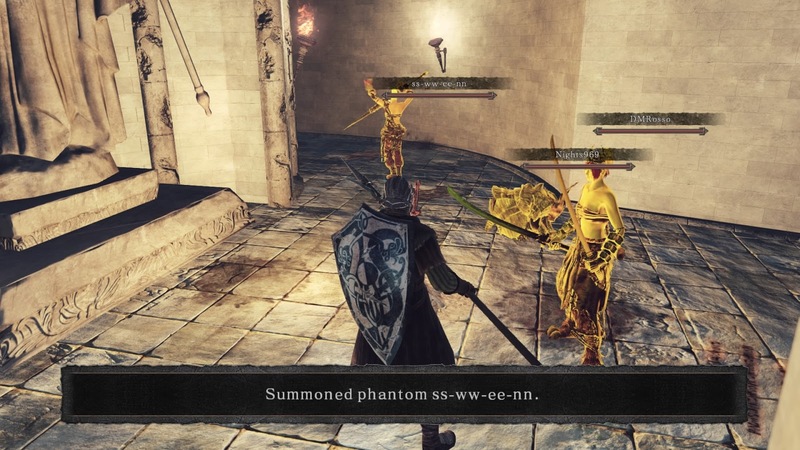 I needed to do a looooot of summoning to get through the DLCs. The final fight of all the DLCs is likely to be Burnt Ivory King if you do them in order, and it's quite the epic war. The final boss is basically a White Walker with a scythe. Defeat it, and your character calmly climbs into a tomb before sealing himself up. Somehow, that's a happier ending than being reborn as a garden slug like in Bloodborne. 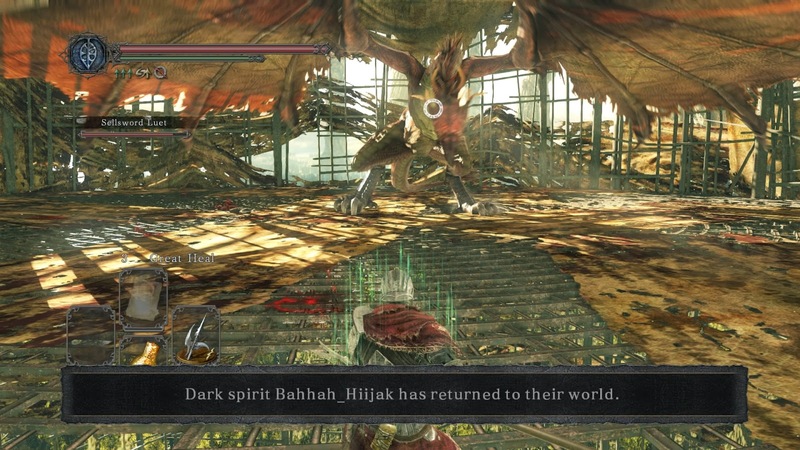 There's another final boss after this one, Aldia, which is exclusive to the new version of the game. Aldia is mostly-stationary and brimming with super-cheap attacks. I had to bring help, but I've officially completed Scholar of the First Sin. 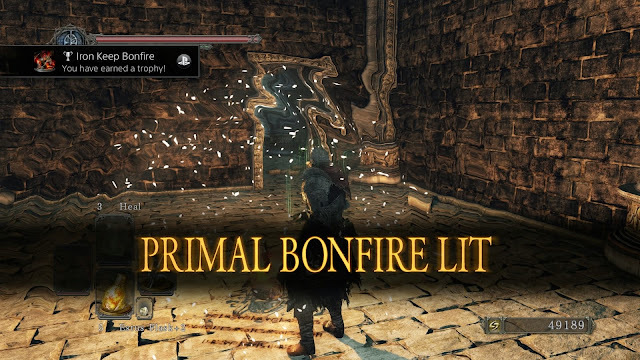 Well, that final boss feels kind of...anticlimatic, though not for the reason you said. 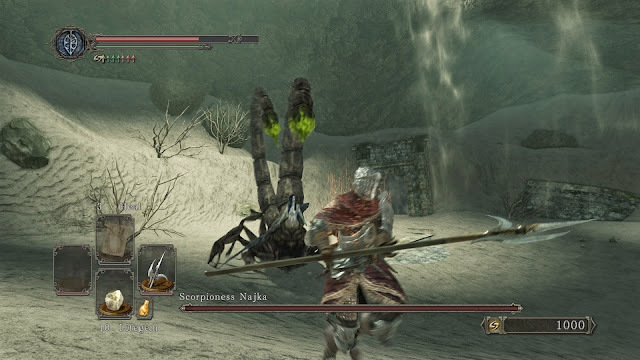 The fact you managed to find all these gorgeous, creepy or otherwise cool looking bosses and then you encounter that one, which looks sort of bland compared to everything else feels...eh... it kinda feels like something they came up with at the last minute. 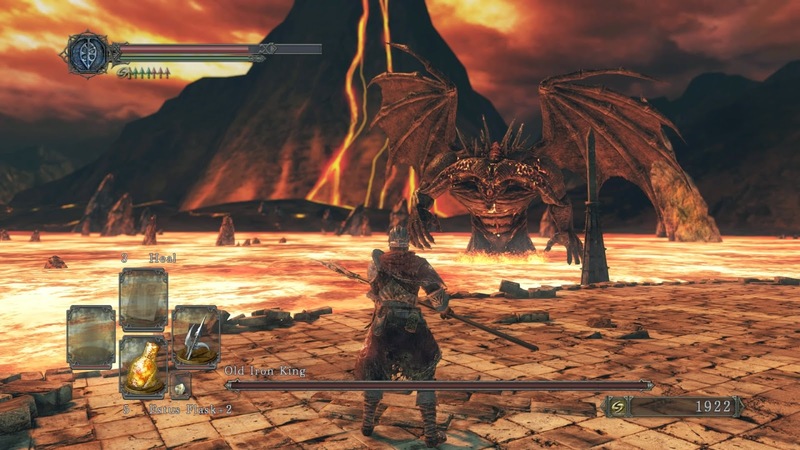 I guess just compared to some of the other bosses it didn't look as grand. "Mainly because I couldn't figure out how to damage the damn thing for a while." So, how DO you damage the Demon of Song? Why is it so hard? Is it invulnerable unless you do something or hit a certain point? 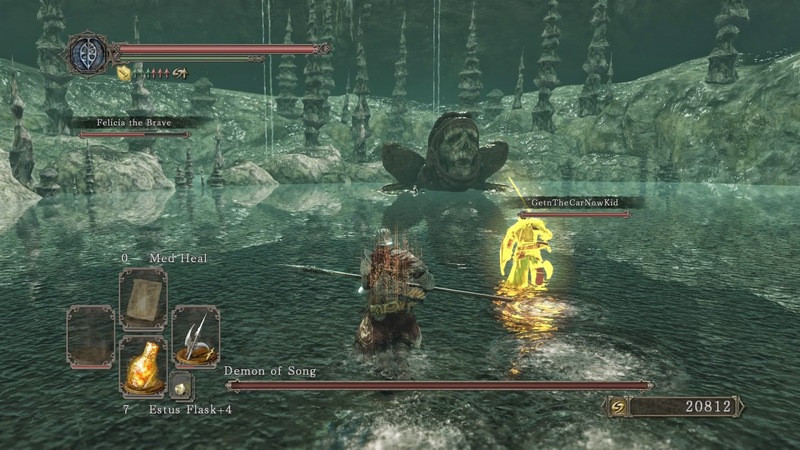 I believe you have to hit the Demon of Song from the front when it makes itself vulnerable. Which happens randomly, so you gotta wait and choose your spots. The front is also the worst place to be...the game does stuff like this quite often. 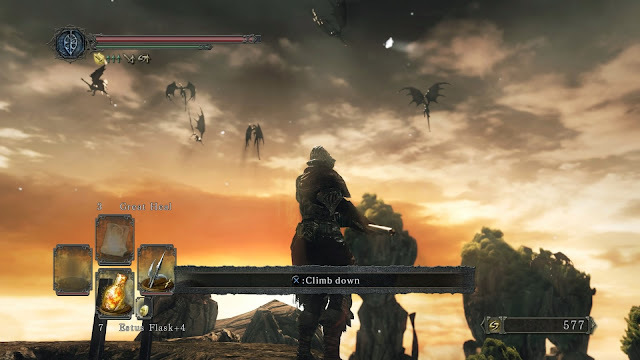 It was tough because it, like most of the bosses, was faster than my character (and much bigger) making for frustration. Looks like you're already moving on from this game, but whatever you heard about the DLC being good is correct. The DLC is three chapters that can be tackled in any order and they're all fantastic in terms of design and scale. They're much harder than the main quest so I get being too worn out to really tackle them. Thanks for commenting. Yeah, I'm done with this one. I'm interested in seeing what they did with DLC but I'd rather just watch someone better at the game than I am run through them. 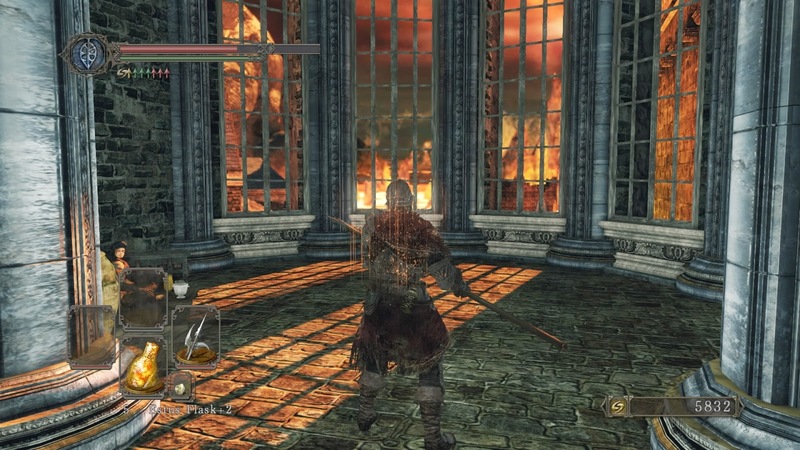 I do sorta feel like I missed out on some of the Dark Souls 2 experience, but I'll live. This game isn't one that I felt the need to go completionist with. NP. The DLCs came along later (like Aldia) so you got the original "Dark Souls 2 experience" by just doing the main quest. A modern-day Vagrant Story remake could probably pull in some serious bank, especially if they made the game a bit easier to play. It'd probably look a lot like this too. Matsuno is busy with mobile development now though... sigh. I was watching a stream from Live From Playstation last night where a guy had a basketball game on. I said I thought it was the finals and asked my buddy. He wasn't sure, he only knew that the Stanley Cup was sometime soon. That is one hell of a dragon at the end there. My point is just that the SC does like 60% of the ratings of the NBA Finals and yet seems to get disproportionate media mentions. 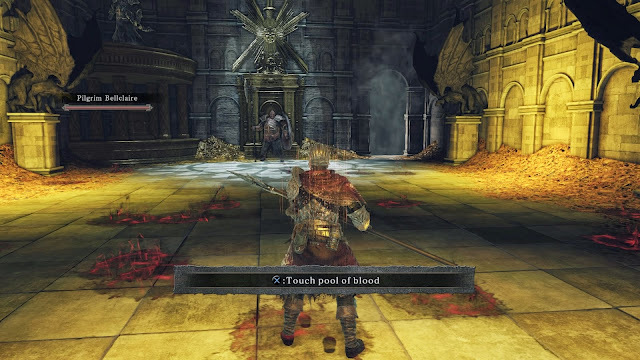 After all the trouble you had getting into Bloodborne, it was great to see you get all the way through this game in one go. And if you do ever want to go back there's all that DLC. I agree the multiplayer looks like a terrific option. Do you share the spoils from the fight when activating it? Pretty creepy that evil PVPers can warp into your game and kill you though. 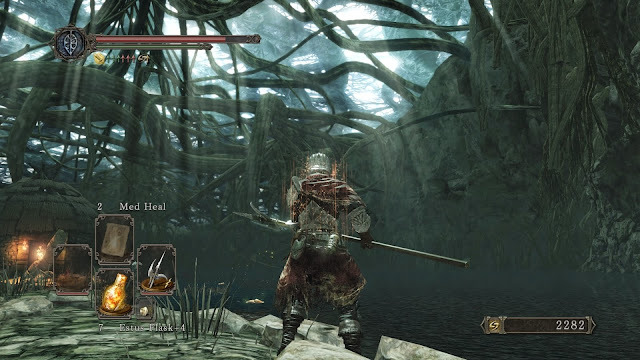 I can certainly this game is from the Bloodborne company. Makes me wonder what kind of great environments they'll have up their sleeves next. This Medusa reminded me so much of people wrapping up Gohan all the time in the movie mails. Ah, the joys of connections made by constant Corona Jumping! This Iron Keep is terrific. 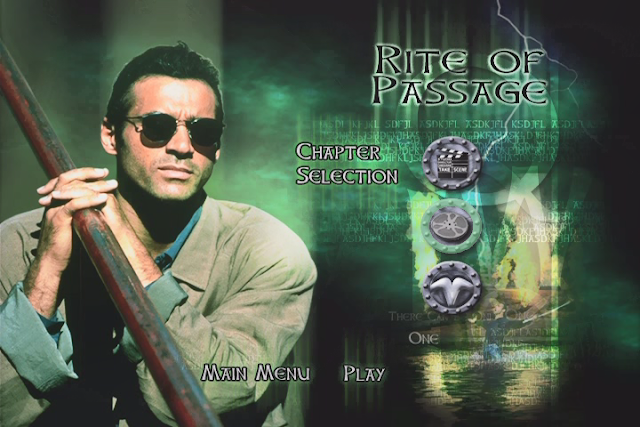 Hey you should turn on Vagrant Story music for the next game of this series! Having watched you play through so many games I now find myself rooting for liking whatever game you play.